"I was able to direct both recruiters and potential employers to the site while traveling to keep the interest intact until I was able to converse privately." 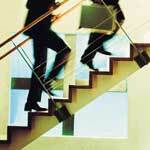 Accelerated job search methods can shorten a 3 month job search by 3.5 weeks. If your annual base salary is between $100,000 and $200,000, the extra 3 weeks of salary saves you between $5,000 and $10,000 in hard cash. It works like this: The "average" professional job search contains 6 telephone interviews, which result in 3 personal interviews, which yield 1 job offer. Some job searches last 12 months, some last 6 months, some last 3 months or less. How fast depends on many factors. You may be anywhere on the spectrum. But no matter where you are, you can take positive action to accelerate your results and save yourself thousands of dollars. One way to do this is by strengthening your telephone interviewing, such as by utilizing an online portfolio. If you raise your phone interview conversion rate from 50% to 66% (+16%), you increase the number of job offers you receive in 13 weeks from 1 to 1.33. Statistically, if you receive 1.33 job offers in 13 weeks, then you have received 1 offer by 9.7 weeks, shortening your search by 3.3 weeks. If you raise your phone interview conversion rate from 50% to 66% (+16%), you increase the number of job offers you receive in 26 weeks from 1 to 1.33. 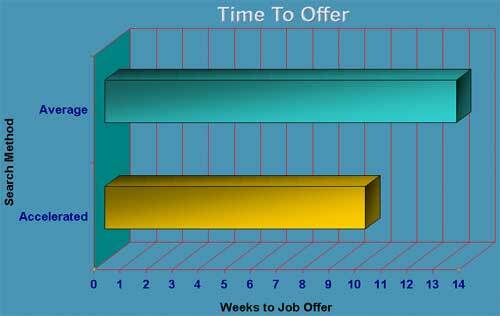 Statistically, if you receive 1.33 job offers in 26 weeks, then you have received 1 offer by 19.5 weeks, shortening your search by 6.5 weeks.